Harrison Owen, the voice of Open Space Technology, is coming to Asia for a grand gathering of open space enthusiasts, neophytes, simply curious and all those interested in the future possibilities of learning and education. This extraordinary gathering is about us and about our COMMON FUTURE. The Conference will open the space for exchanges, linkages and hopefully a significant step forward on a theme and challenge that is fundamentally and universally important ~ LEARNING FOR THE FUTURE. It comes in two stand-alone segments: a one-day training offering for those who are new to Open Space Technology and a three day working conference on what the future of learning looks like. Open Space Technology (OST) is a process of facilitating dialogues that offers a powerful approach and allows people to operate with high levels of engagement, creativity and passion. Over the last 20+ years, OST has been found to generate results that are powerful and effective in connecting and strengthening what’s already happening in organizations – planning and action, learning and doing, passion and responsibility, participation and performance. Choose to join any one or all of these 2012 OST Events in Asia. This is open to anyone and everyone interested in Open Space Technology as a way of facilitating dialogues and meetings. It will introduce the participants to the technology’s history and core principles, and provide them the opportunity to experience an open space event. There will be an opportunity to ground the Open Space Technology’s principles and laws in individual lives through question and answer (Q&A) and practice sessions. 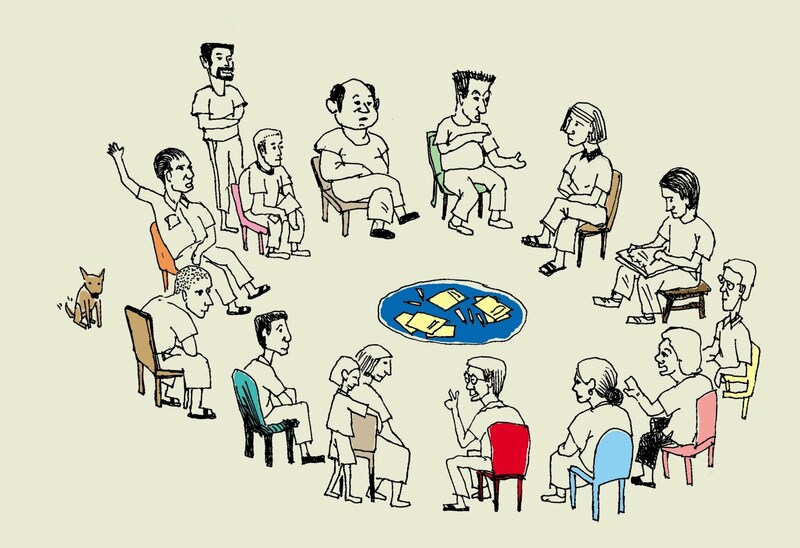 Practical issues of facilitating an open space event will likewise be tackled. This is open to all who are passionate about learning whether in the field of organizational development and learning, formal education, capacity building or lifelong learning, and who want to take part in shaping the world of learning for the future. Using Open Space as the process, the participants will create the agenda together and carry forward powerful conversations on Learning for the Future. Intriguing ideas and questions on the state of learning for the future will be thrown in, discussed, questioned and framed. Collective planning and setting of commitments, guided by the principles of self-organization and the power of passion, shall be in order. Positively, participants will be afforded an awesome opportunity to be with Harrison Owen and experience Open Space Technology at a much deeper level. Day One. 28 March 2012 (Wednesday). 8:30 a.m. to 5:00 pm: Opening circle and agenda co-creation, working sessions and Evening News (Venue: Pearl Hall, SEAMEO INNOTECH). 7:00 pm to 9:30 pm: Evening Socials (Venue: L.B. Soriano, SEAMEO INNOTECH). Day Two. 29 March 2012 (Thursday). 8:30 a.m. to 5:00 pm: Morning News and announcements of late breaking-sessions, working sessions, Evening News. Day 3. 30 March 2012 (Friday). 8:30 a.m. to 5:00 pm: Morning News and announcements of late breaking-sessions, planning, commitment setting, announcements, Closing Circle.